The Susan G. Komen Race for the Cure Series is the world's largest and most successful education and fundraising event for breast cancer ever created. Susan G. Komen Race for the Cure® Series is the world’s largest and most successful education and fundraising event for breast cancer ever created.This Race is unique in the fact that 75% of the net proceeds raised stay right here in our community to help local women and men find breast cancer early and beat it! The remaining 25% helps support ground-breaking global research into the cures. 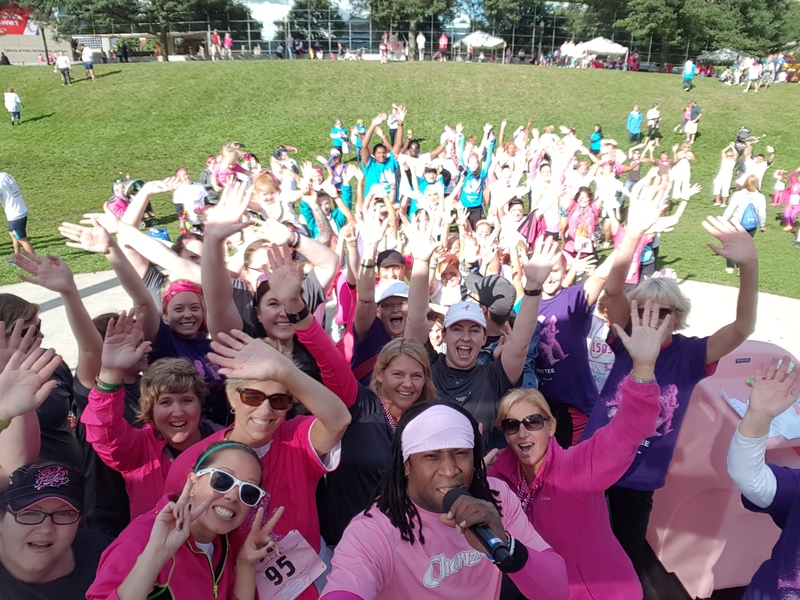 When you Race for the Cure, you help fund life-saving programs right here in West Michigan. Register today to join us as we honor those lost to breast cancer and celebrate survivors, fighters and co-survivors.